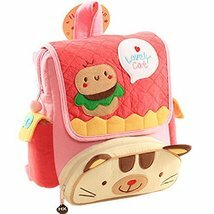 Shipped from Hongkong.With the soft and comfortable material of the backpack,babies can use it comfortably.It is suitable for babies who are between 1-2 years old. Lovely design is poplar with babies and moms. Perfect for going out like shopping, travelling and so on.